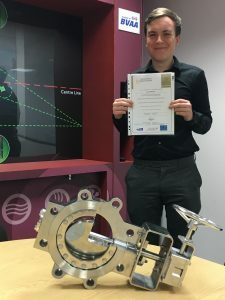 Hobbs Valve | Another Apprenticeship Success! Jake Williams has successfully completed his NVQ Level 3 Engineering qualification, joining a growing number of apprentices at Hobbs Valve. We are all looking forward to working with him and securing a permanent position with Hobbs Valve in the future. Well done Jake!